Are there any hill stations in Kozhikode? Even many people in North Kerala have no clue, let alone others. Even though place names such as Kakkayam and Peruvannamuzi ring bells, natives themselves do not know that they are hill stations. Many tourism publications describe them as dam destinations. No doubt, the hilly locations along the north east are cool and green. However, they are stand-alone picnic spots compared to neighbouring Wayanad, a world class mega hill station destination. That is why the hill stations in Kozhikode are not taken seriously. For travellers there is a choice to make. Travel about 50 kms to reach Kakkayam or take the Ghats road to Wayanad for Vythiri hill station, about 60 kms from Kozhikode City. Wayanad, the popular choice, is not a one day quick tour destination. What if you do not feel like more travel or simply do not have enough time? Then the local hill stations come to the picture. Kakkayam is the obvious place in the hilly north east, where there are places such as Kattullamala, which are only known locally. Tourism in Peruvannamuzhy is centred on just the dam. Thusharagiri, the waterfall location, is included considering the possibilities for trekking, forests, plantations and wildlife. Explore Kakkayam and you will be surprised how underrated this awesome place is. The evergreen Kakkayam Valley stays picture perfect in the eyes of a growing number of photographers. Let it be Kariyathan Rock, Chadikkuzhi or Chuttikkuzhi or any other unsung location, you will be glad to find the virtues of a hill station minus the crowds. Make sure to keep aside some time for Urakuzhi waterfall. Kakkayam dam and boating there are other tour highlights. Kakkayam is a great place to walk around, aimless or with the intention of sighting animals. The forest does have wildlife and comes under Malabar Wildlife Sanctuary. You may increase the chance of sighting wildlife by joining in one of the jungle treks run by the sanctuary. If this silent atmosphere is compelling you to stay and enjoy, there are a few joints such as Aquarius cottage where you can chill out for a few days. Peruvannamuzhy is just about 20 minutes drive away from Kakkayam. Known for its dam, a not so pretty structure in the middle of pretty surroundings, the small village of Peruvannamuzhi amicably adjoins the jungle and a cluster of hills. There is no scope for sighting wildlife. On the plus side, this is a bird haven with good scope of spotting several species. Boating in the reservoir may take up some of your time, so is walking along the dam garden and visiting the croc centre. The Crocodile Rehab Centre has about 20 crocs and a few snakes. Koothali Agricultural Farm and Farm Science Centre are for people who are fond of growing plants. You can collect seeds and saplings as well as gain insights to the world of plants. Peruvannamuzy is a day tour destination. Pack the bags with food because you will be finding quite a few nice spots to spread mats and enjoy. 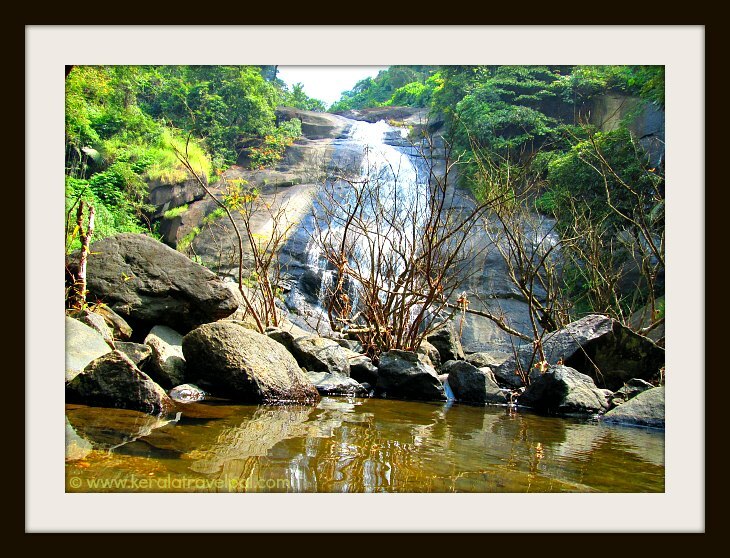 Thusharagiri is known as a waterfall destination. Surrounded by hills, forests and plantations, the experience here is similar to that of any hill station. If you decide to stay back, there are some awesome treks and wildlife sighting on the cards. 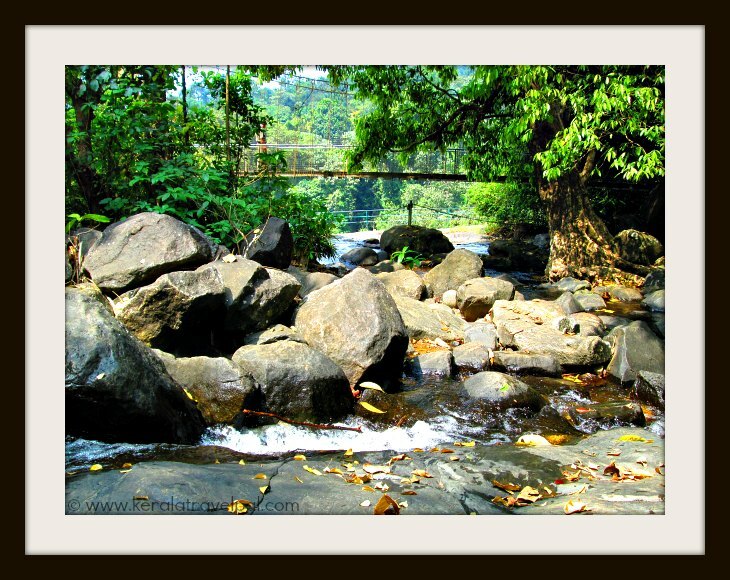 The jungle trek from Thusharagiri waterfall to Vythiri in Wayanad is legendary. Even if you start early in the morning, it will take the whole day to finish. The woods are thick and animals are in plenty. True adventurers only attempt. Leeches are common in the wooded areas all over Thusharagiri. Take precautions and apply repellents. There are a few resorts and home stays at Thusharagiri. The nearest towns are Thamarasseri and Kodencherry. Kattullamala is not well known and hard to reach. Only a few people explore the trekking trails. Occasionally you will have to blaze new trails too. Up the hill, sit and relax on the flat rocky platforms created by nature. The view is too good to be true. Kattullamala is just on the outskirts of Koorachund, a small town about 20 minutes drive from Kakkayam. Try this place only if you are up for some adventure.